but she was the one girl who didn't beg for his attention. but then she met Carter Jennings. 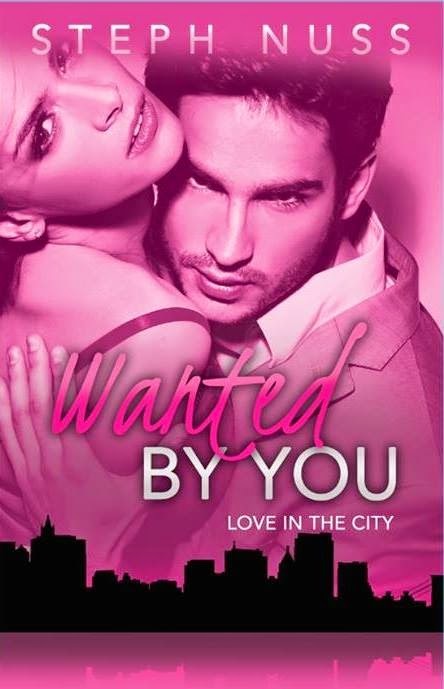 Wanted By You is the story of Ellyson (love the name!) and Carter, college best friends who always harbored feelings for the other yet never acted on them while in school. It was the first day of freshman year outside his first class that Carter noticed the gorgeous red headed Elly. He felt drawn to her, wanted to know her, decided then and there he would most definitely be spending as much time with her as possible, even if that meant just as friends. 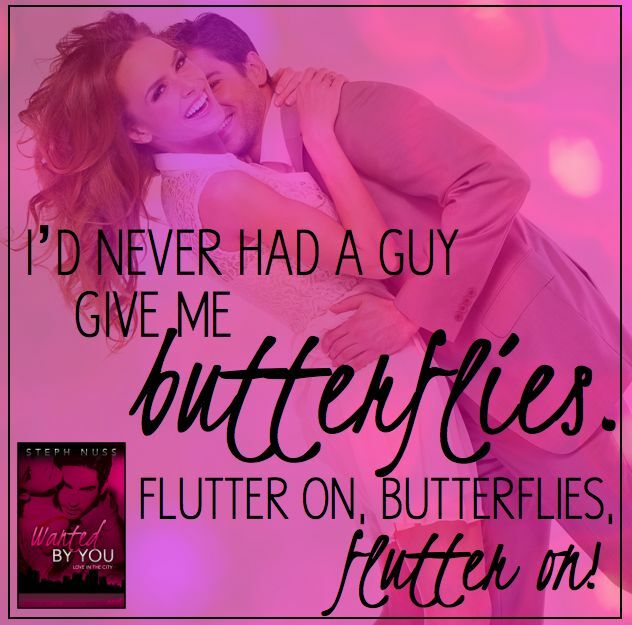 As soon as Carter introduced himself to her, Elly felt the butterflies and honestly they never went away, but she never felt good enough for Carter and did not want to be the girlfriend of every other college girl's fantasy. Elly was grateful to have him her her life and though she wanted more she would never jeopardize their friendship, it was just too important. Upon graduation circumstances literally force them to put some distance between themselves and it isn't until 5 years later that they once again run into one another. So, what happens upon their reunion? Will they pick back up as friends or will they finally give into the feelings they've always felt? Will life once again get in the way of what could be an epic romance or will it allow these two the happiness they deserve? All in all I found this book to be such a sweet, tender, heart warming love story...the kind that makes you go aw! Carter is this gorgeous guy whose been in love with Elly probably since the moment they met. He cherished not only their friendship but also Elly as a person. Over the years he's grown, he's had a lot of time to think about what he wants, who he wants to spend the rest of his life with and it always comes back to Elly. I love how passionate he was about her, not only sexually but in supporting her career, giving her encouragement and reassurance when the time called for it. Watching him fight for what he wanted only made him all the more swoon worthy. Ellyson is no damsel in distress and I couldn't have loved her more. She is gorgeous, confident, successful in her career, has this huge heart and you get the sense people are just drawn to her. She is loyal to her friends and doesn't want to settle in a relationship. While on the one hand she knows is silly to hold a flaming torch for Carter she just hasn't met anyone else whose given her butterflies, and isn't that what all women want? I was so proud of her for being bold and going after what she wanted, and my heart broke right along with her when her fears threaten to force her away from the happiness she deserved. For me the first half of the book seemed a little to easy going. All the pieces of the puzzle were falling into place and while I enjoy seeing characters get their HEA it just felt as if something was missing from the bigger picture. However after the 50% mark real life starts rearing its head and before I knew it I found myself feeling more connected to this couple, even shedding tears from time to time. Every good story needs a little drama to challenge and test a couple, and I thought the real life drama author Steph Nuss provided was perfect for this couple. Like all good challenges do, the ones Carter and Elly faced I believe really solidified their relationship and made for a more interesting and in depth story. Selfishly I do wish we could have been given a epilogue so we could see a little more of Carter and Elly's future, but I'm excited to see what's in store for the rest of this series and the other characters we met this time around. I'm thinking there are plenty of good story lines that need following! She's given up on her fantasy. Personal trainer and gym owner, Maverick Jones isn't thrilled about having a designer mentoring in his new clinic, but after meeting the brunette beauty face-to-face, he dreams of having his way with her. He's ready to turn his fantasy into reality. 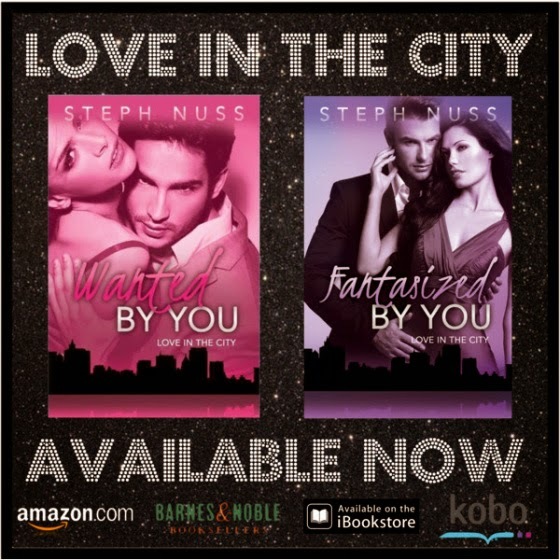 Fantasized By You was an easy read and a fun addition to Steph Nuss' Love In the City series. While this book can be read as a stand-alone I enjoyed getting to see more Maverick and Harper after having first met them in Wanted By You. While one might consider a top fashion designer and a gym owner who hates the fashion industry with a passion and subsequently anyone associated with it an unlikely couple Harper and Maverick have no problems proving them wrong! One might think Harper Jennings has it all. A celebrity in her own right due to her coveted designs who lives in NYC and travels all over the world, some may think she has the perfect life but Harper a recovering bulimic wants nothing more than to work a little less and find happiness in her personal life. To one day have a husband who loves and cherishes her and little ones who depend on her as their mother. 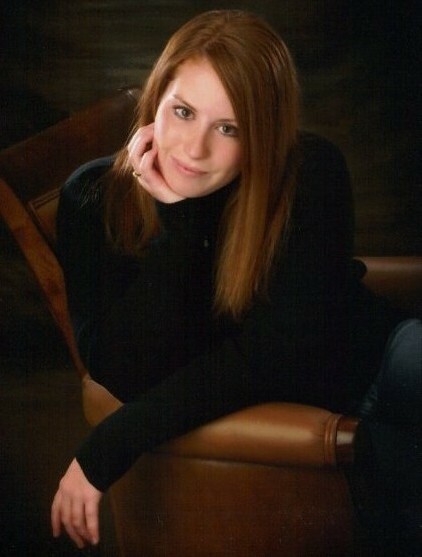 But, she's nearing thirty and she's afraid she won't find a HEA in her personal life. Maverick Jones wasn't looking to fall in love, especially not with a fashion designer. After all it's her industry he blames for the death of one his close friends due to anorexia. He's held a grudge ever since, no longer wanting to feel helpless he finally succeeds in his mission to open a health and wellness clinic at his gym for people struggling with all sorts of vices, especially eating disorders. How's someone whose sole profession aids in leading women down the path of destruction in the form of eating disorders going to be able to help anyone. Maverick quickly learns you shouldn't judge a book by it's cover and he soon realizes there's much more than first impressions when it comes to Harper Jennings. I really liked Maverick, other than his initial quick rash judgement and reaction towards Harper, he was all around a great guy, perfect really for Harper. He was able to allow her the opportunity to be herself, with no shame. The way he showed her respect and gave honesty allowed her the chance to become confident in herself in regards to their relationship. I loved how what they had from day one was built on honesty and trust. He could care less about her celebrity status, he fell in love with the person behind the stage name. A person who quickly changed his life, giving it more meaning. He was so sweet and protective of her and I loved how he didn't jump to conclusions or let others sway his mind. He put faith in her, gave her his trust and always had her best interest at heart. Even when he was jealous he put her feelings first. He was a true class act. I can see why Harper fell for him so quickly. Harper was a pretty awesome female character. I loved how strong she grew to be after rehab, how she wouldn't settle for less than exactly what she wanted in her personal life. I appreciated how she valued her time with Maverick and also how passionate she was to helping other girls and women recover from the demons which lead them to anorexia and bulimia. It was a very cute predictable story, but that's okay with me. I don't mind predictable, in fact I often find comfort in those kind of stories, but if I could have wished for something more with this book it would have been more depth. I felt as though my connections with both characters remained somewhat on the surface. It's as though the words said, they're falling in love, but I didn't really feel myself connecting emotionally. I don't know if it is because I felt as though their relationship and the story was rushed, or if I just needed more of a backstory, more of a build up of them falling in love. One of the things I love most about the story is watching the characters individually fight the brewing chemistry, each encounter leading them closer and closer to the inevitable and then boom it happens! But in this story Maverick and Harper get together and fall in love so quickly that I don't think it gave me enough time to find myself on pins and needles waiting for the moment for the two to push past their reservations and no longer deny the chemistry. If that even makes sense! It's a fun installment to this series and I will certainly be looking out for the next book, which I am hoping is Fletcher's story. I'm already super intrigued as to how things are going to transpire for him! The Love in the City series continues with Bayler and Fletcher's story.